Whether you are doing online therapy or not, you are likely text messaging clients in one form or another. Text messaging is more prevalent than any other medium and is used by 4 billion people worldwide. 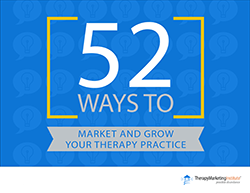 As a mental health provider, you need to be aware of how to keep your clients safe – i.e., provide privacy for them and the messages that you exchange with them. After presenting our “Making Online Therapy Work for You: A Therapist’s Complete Guide to Online Therapy” STAR Training on April 9th, I took an online course on text messaging offered by the TeleMental Health Institute and presented by Marlene M. Maheu, executive director of that organization. I’m going to summarize some of her points here. I’ll then talk more about this topic in our next Open Office Hours Q&A Session, being held this Saturday, April 23th… So, bring your questions! Clinical (crisis intervention, safety checks, etc.). And texts can be one-way or interactive (i.e., involving back-and-forth communication). All legal and ethical rules apply, but the clinician needs to consider how those fit with the technology used. There are four areas of therapist competence to consider: education, training, experience, and consultation. We need to use all four to show competence and, if there is ever a legal issue, we can bolster our case via such competence. Georgia was recently (October, 2015) the first state to require six hours of training before clinicians can work with any communication technologies. Informed consent must be given, certainly at intake, but also as needed throughout the work. Apprise clients of your policies regarding text messaging and talk in detail with them about this. Have them sign your form and document that you had this discussion. Inter-jurisdictional boundaries must be considered when texting clients. The laws of the state a client is in at the time of texting are the laws that apply, like with a driver’s license when you are traveling. California driver’s license laws don’t apply if you have an accident in Indiana. Ask your client where he/she is. Best practice: provide service via text only where you are licensed. You must password protect your phone. Some organizations require dedicated devices be used for work with clients. However, this has yet to be state mandated. 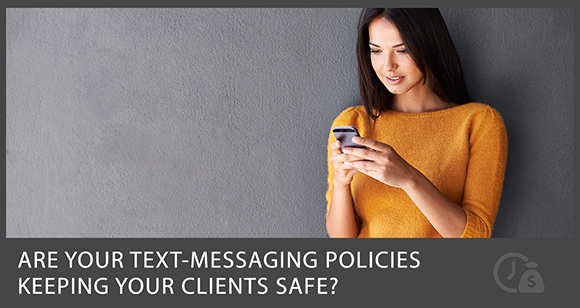 Write out your policies regarding text messaging and run them by your malpractice carrier and your professional association attorney if there isn’t already a standard form for this. This will likely be a good prompt for them to provide one. If your phone is stolen, making sure it is password protected beforehand can help protect you. Be sure to change your password often and use apps that provide privacy for text messaging. Biometric authentication is on the rise. Take advantage of it and use an encrypted device – and you have to buy this service separately. Encryption doesn’t come with the phone. Make a practice of downloading your text messages from your cell phone, printing them, and putting them in the patient’s file. Software for doing this is available online. Of course, this only just scratches the surface when it comes to text messaging and protecting your clients’ privacy. There’s much, much more… So, let us know your questions and comments using the form below or, better yet, join us for our next Open Office Hours Q&A Session on Saturday, April 23rd, and bring your questions with you and share your experiences with our members! Thanks so much for this valuable information. I confess that I had not thought about texting and confidentiality. I will definitely make some changes with clients, especially since I am moving back to California and will be practicing there again. Thank you for your message. Glad the information on texting and confidentiality was helpful. The mental health community — myself included — is racing to keep up with the changes in our profession, especially around technology. It’s important that we talk to each other about what we learn. 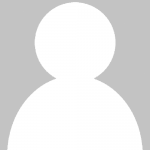 Hope you’ll share your experiences in CA with the TMI community going forward. And I hope you can join our Open Office Hours webinar this Saturday, April 23, as we continue the discussion on texting. I have a friend getting divorced. He read some text messages that his wife had with her therapist. These messages were very disturbing and definitely show that his wife is suffering from a mental illness. He is very concerned about his children spending time alone with her. Are these text messages confidential or can he submit them to the court while they determine custody of the children? Hi, Terri! Thanks for your question, and I need to be clear right off the bat by stating that neither my mother Bea nor I are attorneys and, accordingly, are incapable of offering you any legal advice. First of all, all communication between a therapist and his/her client is confidential or what the court calls “privileged” information. That is necessary, of course, to build the relational trust between client and therapist that is needed for the therapy to work. There are 3 exceptions to this protection of confidentiality and all of them have to do with the client being a danger to himself/herself or others. In which case, the therapist is the one charged with keeping others as safe as possible and must report these threats to the authorities. That is the therapist’s duty and he/she could lose their license for failure to do so. 3. Any bias your friend might have regarding his wife’s parenting competence. I understand your friend’s concern for the well-being of his children and encourage him to seek legal counsel. His lawyer would be the one to determine whether this information can be used, while at the same time making sure that his children are safe. Again, neither Bea nor I are attorneys, and other than being clear on the communication being confidential, the rest is beyond our scope of practice, other than adding that text messages are not recommended for therapist/client communication of a private nature and most therapists don’t use them for that reason – other than for logistical issues like rescheduling. They can be too easily breached. I hope this helps, or at least provides a place to start. If you need further clarification, please let us know, and thanks again.